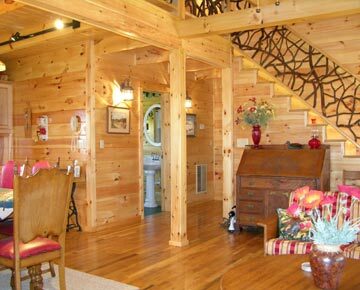 Country Haven Vacation Rental is furnished and comes with a fully equipped kitchen with microwave, telephone, central air conditioning, gas burning fireplace, Satellite TV/VCR, all linens and porch. 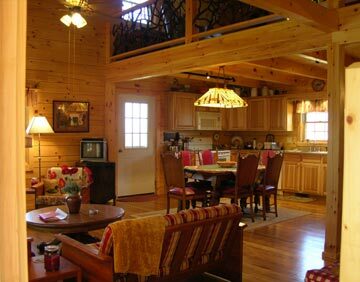 Country haven is the answer to your Western North Carolina Vacation Needs! 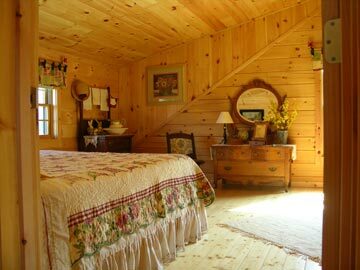 County Haven Vacation Rental is laden with beautifully detailed woodwork and antiques for your enjoyment. From the loft , Living Room, and all the bedrooms, no detail is left out. and accepted The Cozy Country Kitchen is brand new and is outfitted with all modern day kitchen appliances to make your Western North Carolina Vacations comfortable no matter how often you plan to eat at "home".